Imagine having hassle-free birth control for up to 5 years (or less, if you choose). Birth control that, once removed, allows you to try to become pregnant right away and adapts to your contraceptive needs throughout the different stages of your life. 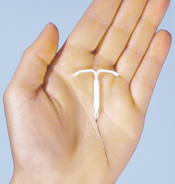 That�s Mirena, an estrogen-free intrauterine contraceptive (IUC) that delivers small amounts of hormone directly to the uterus. With a family and full life, there�s little time to think about birth control. Instead of the hassles of injections, daily pills and other methods, Mirena� intrauterine contraceptive (IUC) provides birth control that you don�t have to think about. Once it�s placed during a short visit to your healthcare professional, it starts to work right away, providing pregnancy prevention that�s 99.9% effective for up to 5 years (or less, if you choose). Once in place, Mirena works on its own. Unlike many other methods, it doesn�t rely on your using it regularly and properly to be effective. So you can enjoy spontaneous, immediate intimacy. If you decide you�d like to try to become pregnant, Mirena can be easily removed by your healthcare professional. In fact, studies show your chances of getting pregnant after Mirena is removed are similar to women who had not been using any form of birth control. Most women will also experience shorter, lighter periods with Mirena. 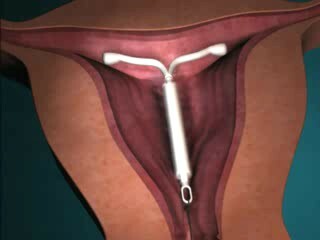 However, in the first 3 to 6 months after Mirena is placed, you may experience heavier periods because the lining of your uterus is shedding. But once your body gets used to Mirena and your uterus has shed, your period may even stop entirely. When Mirena is removed, your uterine lining and menstrual cycle will return to the way they were before you used Mirena.